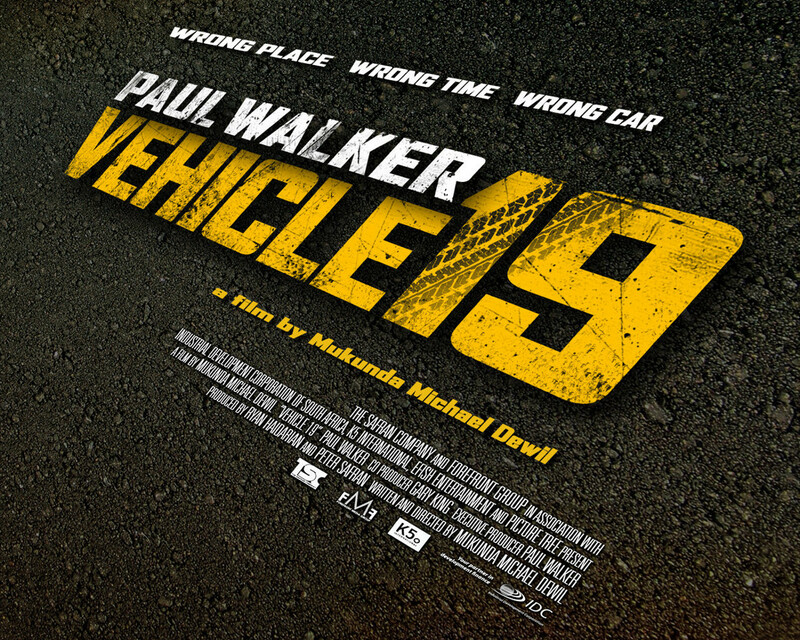 Quickfire Review: Vehicle 19 (2013) – Hooray For Movies!! Synopsis: A foreign traveler (Walker) unknowingly picks up a rental car that will tie him to a web of corrupt local police. As a fan of Ryan Reynolds’ uber-claustrophobic coffin thriller Buried, Vehicle 19 intrigued me enough to rent it. In similar fashion to Buried it uses the idea of focussing an entire film’s worth of action in one very cramped space, this case being the interior of a hired mini-van being driven around the less salubrious parts of Jo’burg by American tourist Paul Walker. Shortly after picking up his hire vehicle from the airport though it quickly becomes apparent he has inadvertently stumbled into a murky world of human trafficking and Police corruption. While it owes an obvious debt to Buried it lacks both the intensity and simplicity that made Ryan Reynold’s coffin drama so spectacularly effective. Paul Walker does as good a job as can be expected with direction that seems to limited to “uh Paul, can you furrow your brow and pout just a little more? Little more? Ok, now just a little more. Thaaaaaaats great”. But while he may have charisma, Walker does not have the chops to sit on camera for 90 minutes straight. He is no Ryan Reynolds or Colin Farrell. Directed by Jo’burg native Mukunda Michael Dewil you can sense he wanted to tell a story about the seedy inequality that is so rampant in South Africa’s largest city as the action moves from slum to slum. And it is a fascinating story to tell. Along with Brazil’s major cities South Africa is a country of blindingly contrasting fortunes. But by confining his camera to the cab of the Walker’s van he crucially limits any character development and ultimately tries to boil down a complex and interesting premise into a what is, in the end, a dull and boring gimmick. It’s a shame because Vehicle 19 could have had promise. It may not have won any Oscars but it could have been a lot more interesting if it was more focussed and didn’t try to do so much in such a small space.